We’d love to hear from you and there are many ways to connect with us. Check out our facebook page or follow us on twitter; sign up for monthly emails for news, recipes and events (don’t worry, we won’t spam you! ); or email us your questions and suggestions. Sign up for emails for news, updates and events. 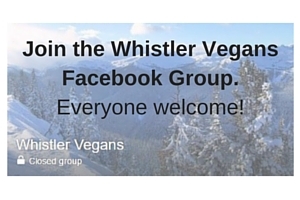 Or, send us your feedback or questions using the form below or by emailing us at whistler@earthsave.ca. Yes, please sign me up for emails on upcoming events!